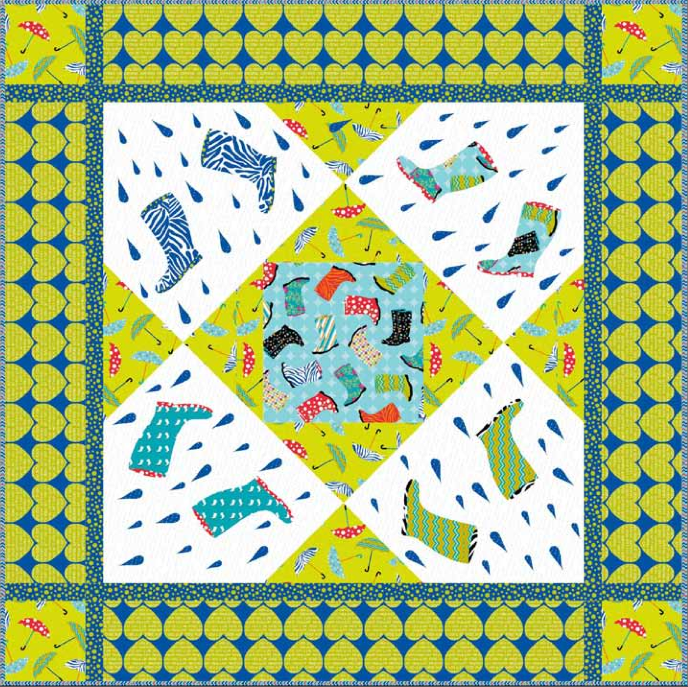 Our newest fabric, Let it Rain, is now available. For this collection we combined rain boots and umbrellas in bright and sassy colors. Here is a link to the quilt pattern seen above. I’ve always loved patterned rain boots, unfortunately I’ve never needed a pair living in California. But they are so cute! You could say this is the perfect rainy day project to do. Have a fire going and a cup of hot chocolate and you’re set. Have a great weekend.